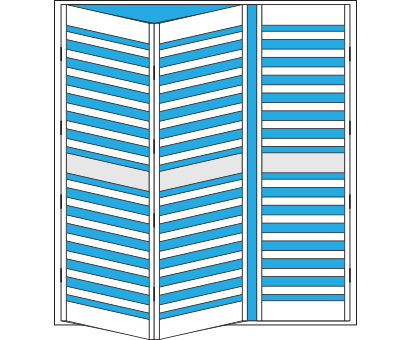 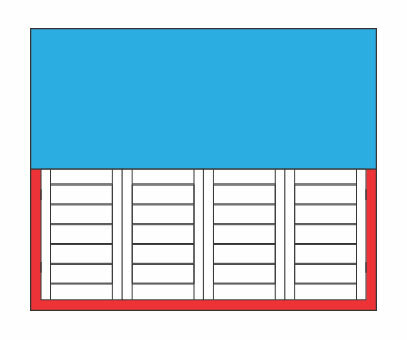 Classic Shutters are an engineered product made using an MDF outer and a polymer coating. This is a wood product created by breaking down timber into a powder, which is mixed with wax and resin and then formed into panels by applying high temperature and pressure. 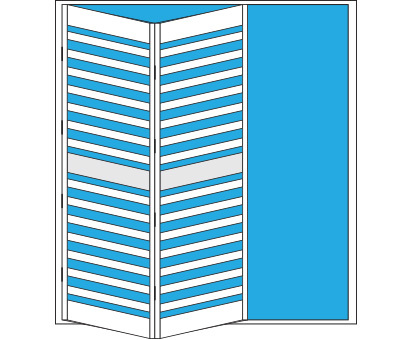 It is a building material similar in application to plywood but made up of separated fibres, not wood veneers. 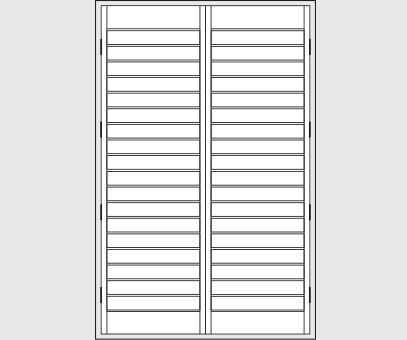 The panels of the shutter are manufactured to the highest standards using mortise and tenon joints to ensure prolonged quality and durability, and engineered laminated stiles to prevent warping. 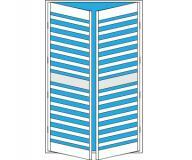 The Classic range is the perfect choice if you require the fashionable Plantation Shutters along with affordability. 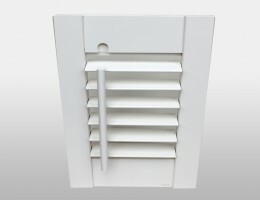 Classic style Shutters are a great all rounder. 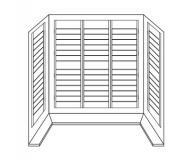 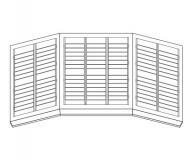 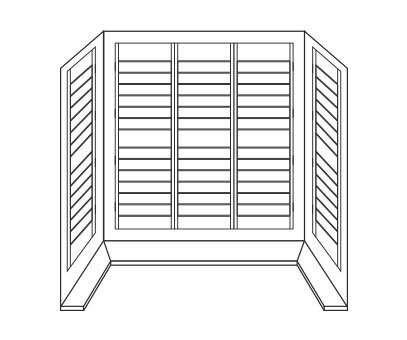 They are more durable than some of the other shutters available. 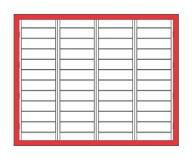 They are great if you have pets or small children and they do not mark or dent as easy as lighter materials. 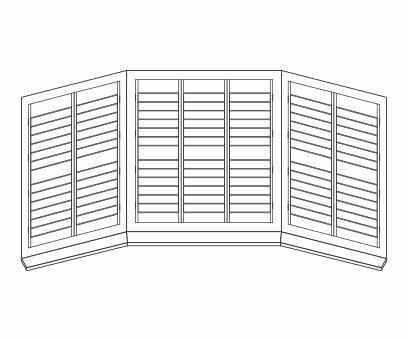 Classic Style shutters can be used for full height shutters and cafe style shutters. 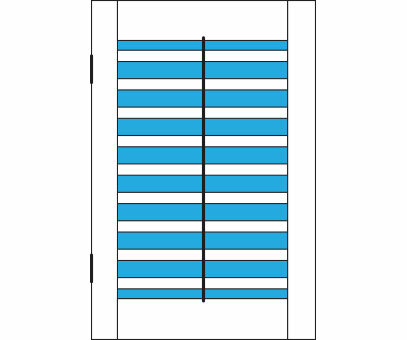 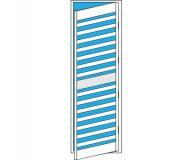  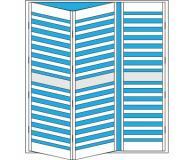 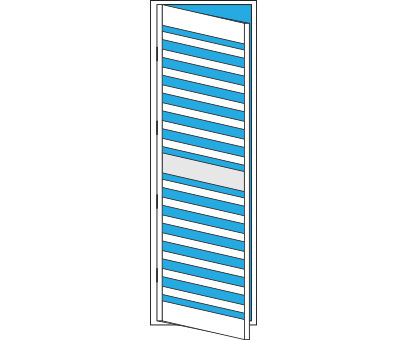 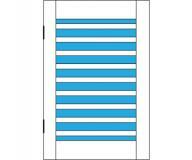 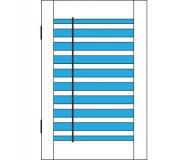 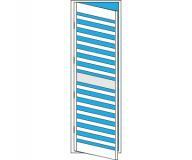 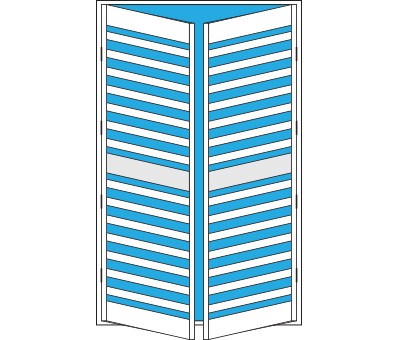  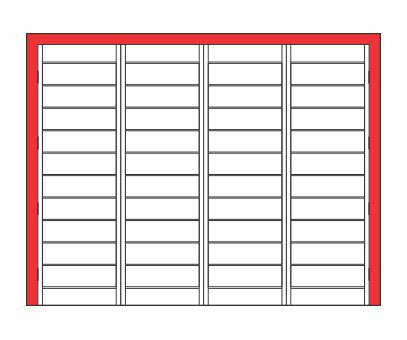 We can supply center tilt rods as well as the silent and off set style tilt rods with the classic style shutters. 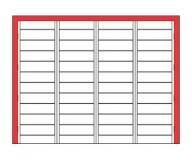 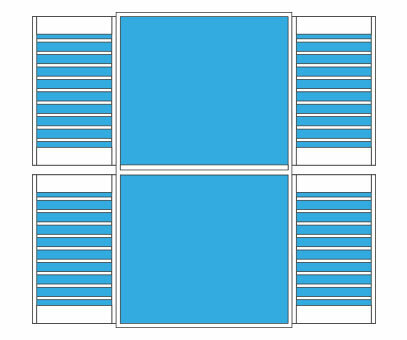 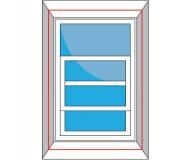 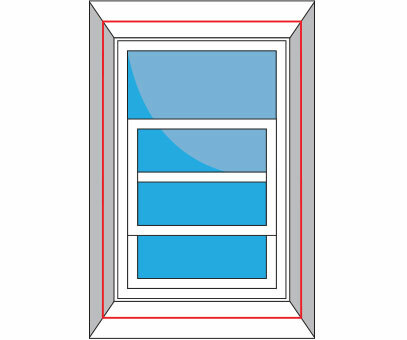 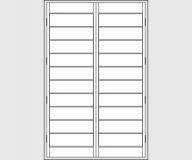 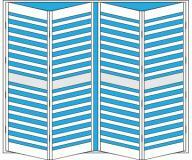 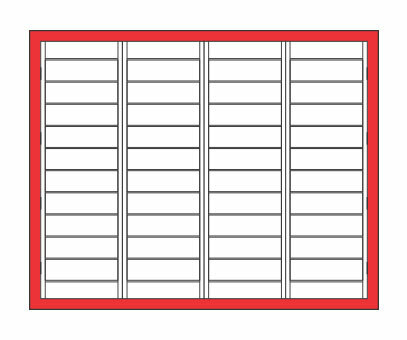 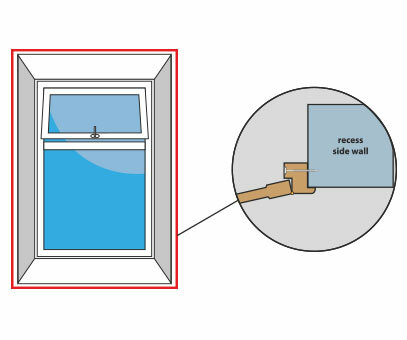 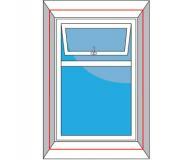 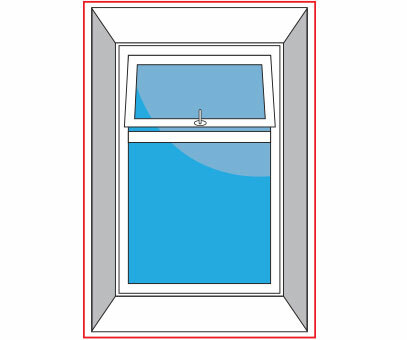 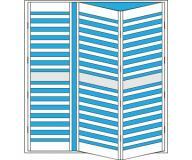 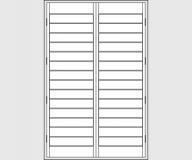 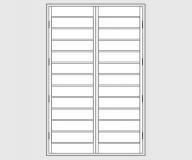 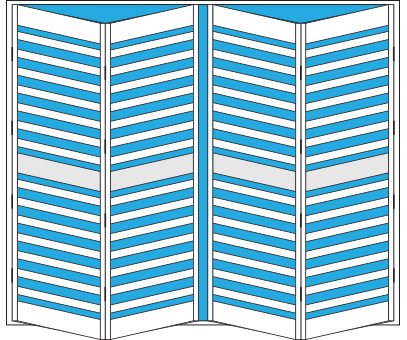 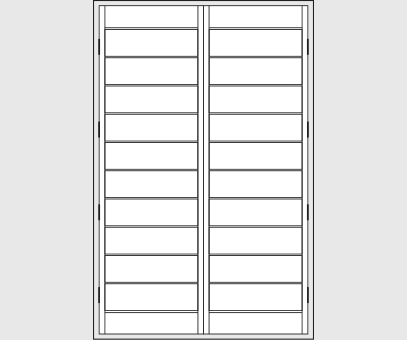 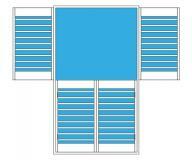 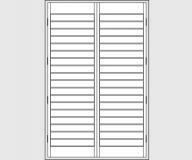 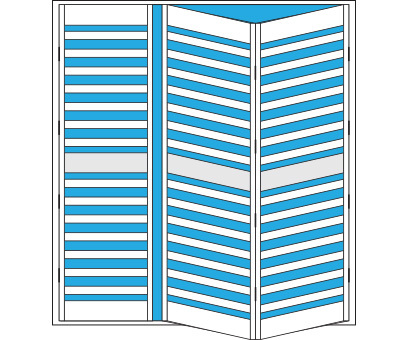 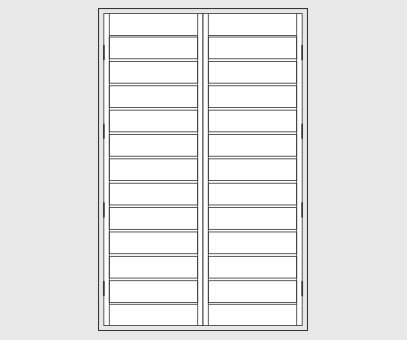 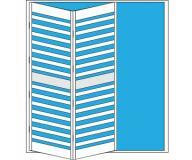 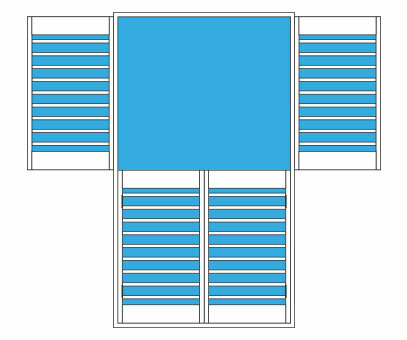 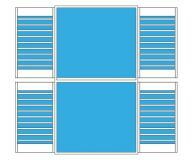  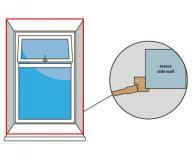 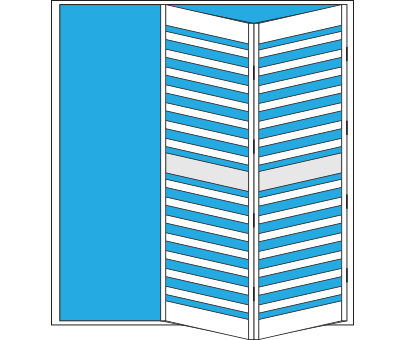 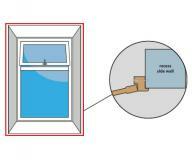 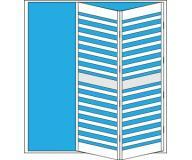 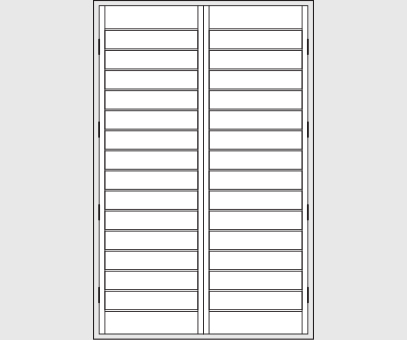 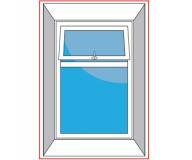 White hinges are most suitable for white coloured shutters. 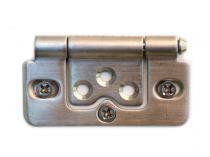 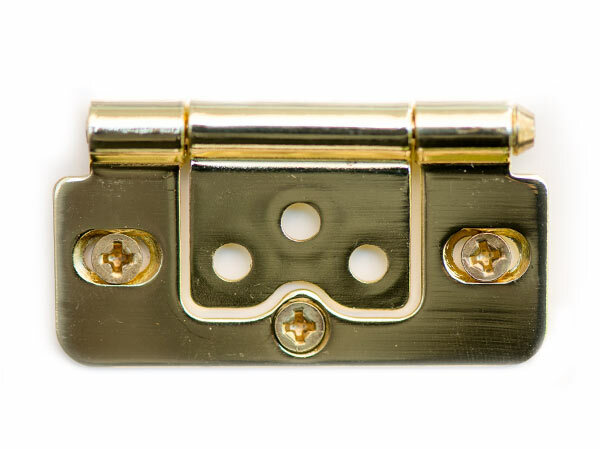 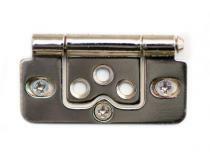 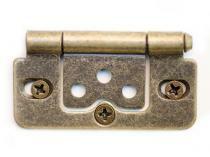 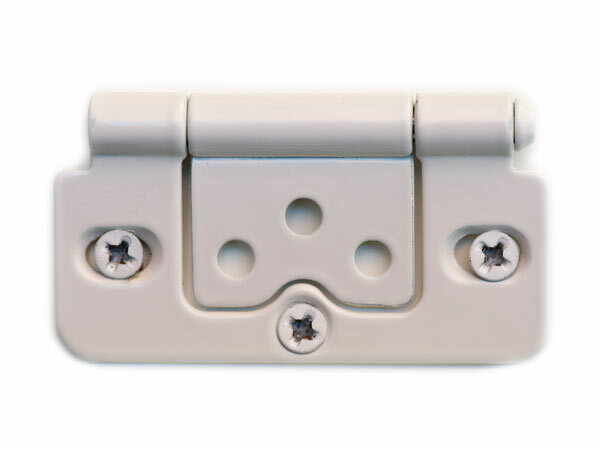 Pearl hinges are most suitable for pearl and cream coloured shutters. 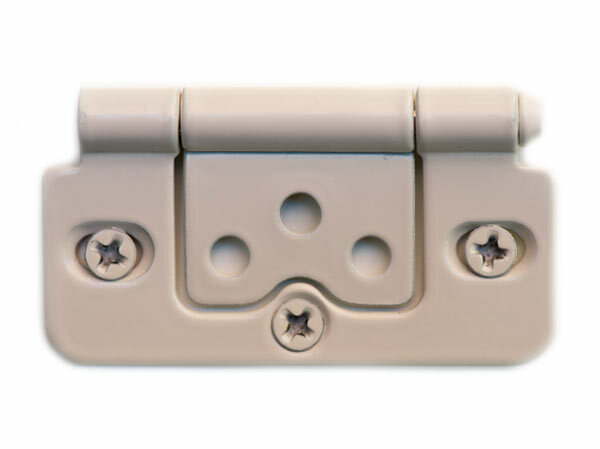 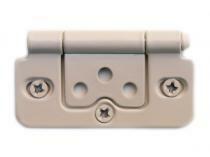 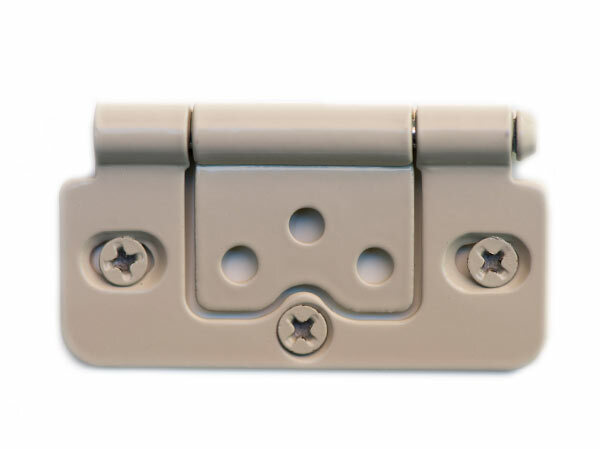 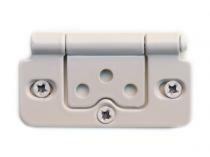  Bisque hinges are most suitable for cream coloured shutters. Antique Brass hinges are most suitable for wood stained shutters or to match with light and door fittings within the room the shutters are going. 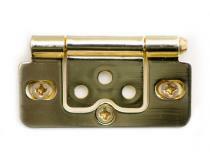 Bright Brass hinges are most suitable for wood stained shutters or to match with light and door fittings within the room the shutters are going. 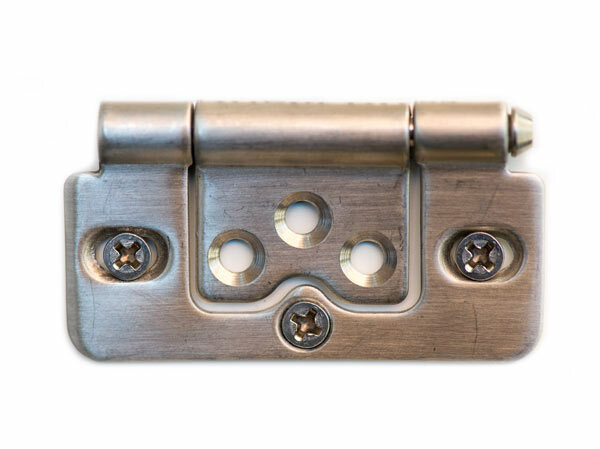 Nickel Plated hinges are ideal for most coloured shutters or to match with light and door fittings within the room the shutters are going. 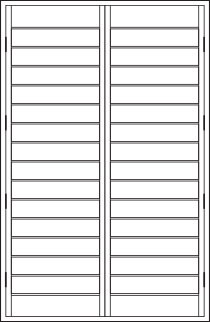 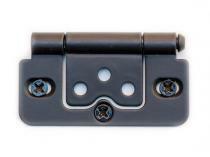 Black hinges are most suitable for black and dark wood stained shutters. 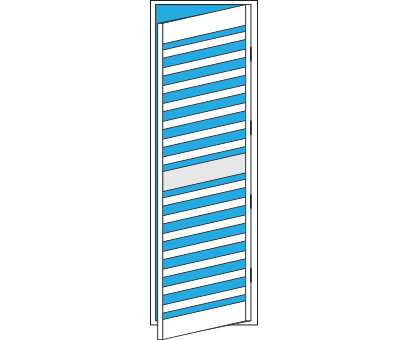 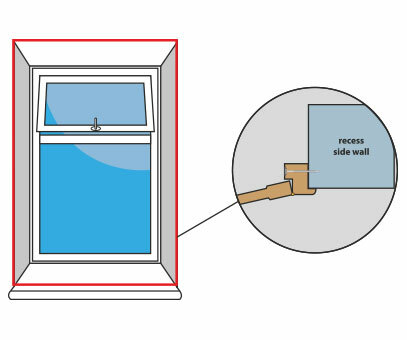 Centre tilt rod is a central bar at the front of the Shutter panel which is used to open and close the Louvers.